As technology continues to extend further into our everyday lives, we thought it relevant to address what appears to be the next wave of advancement. Artificial intelligence (AI) has been a buzzword for some time now and it already affects both your personal and professional life. From shopping cart recommendations on Amazon to email spam filters, your life is entrenched by this phenomenon and you probably didn’t even know it. First of all, what is AI? The concept of self-aware computers was first proposed in 1955 by John McCarthy… but what does it mean? 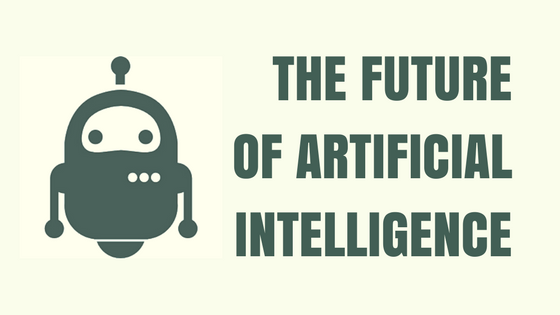 Well, first, there are a few different categories of artificial intelligence, ANI, AGI, and ASI. ANI is artificial narrow intelligence, and this is what powers the computer intelligence we already mentioned, specific to a defined set of data. AGI, artificial general intelligence, is where the future of intelligence is headed, meaning the potential for computer intelligence to critically think and make judgment calls. We’re far from this sort of intelligence, but some speculate it’s closer than we think. Lastly, there’s the AI of the future, artificial super intelligence (ASI), which is intelligence that extends beyond our human understanding, and eventually, conquers the world. Just kidding… maybe. What we want to bring to the table today is that as business owners and operators, it is your job to stay ahead of the curve and to be in the know about the coming technological advances that have the power to change the way you do business. Computers have changed all of our lives forever, and it seems that AI is positioned to do the same. Our prediction is that AI will continue to shape and change the state of the business and retail spheres. Finding ways to integrate these new helpful tools into your personal and professional lives intentionally. There are several email/scheduling assistants such as Julie’s Desk, website chat providers such as Cleverbot, and more that can smooth out the fine details of your customer service and marketing processes. Why not give it a try?